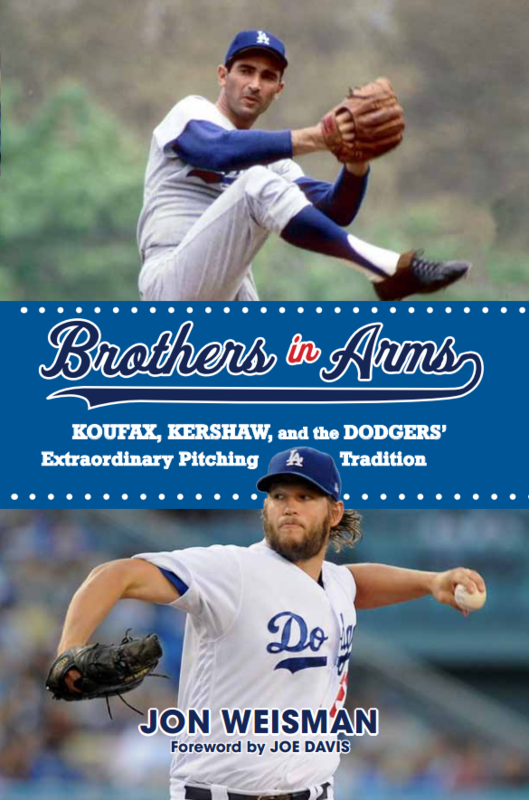 So, this post is years in the making and should provide you with seconds of enjoyment. But once upon a time, I made a list of the TV shows my kids (Young Miss Weisman, Young Master Weisman and Youngest Master Weisman) had watched since the first of the hatchlings was born near the start of this century. And from time to time I’ve added to the list, and gone back and talked with them about which kid-oriented shows were the true classics, which ones didn’t hold up so well and which never really registered to begin with. With the combination of Nickelodeon reviving Blue’s Clues and PBS airing its 50th anniversary salute to Mr. Rogers Neighborhood last week, I finally got myself to do the pointless thing I always wanted to do, which was figure out which of all these shows were our favorites. I hope it’s evident that these rankings are highly subjective, and the accompanying comments aren’t meant to be taken too seriously. Trying to put these shows in a rational order was a huge challenge, and I could go through the list and tinker with the rankings at any time. Comparing a show aimed at teenagers with a show aim at toddlers is fraught with apples-and-oranges peril. Plus, I didn’t go back to shows from five, 10, 15 years ago and re-watch them for a current assessment. So much about appreciating children’s shows is about timing — if it’s the right show at the right moment, it can end up outranking a better show that comes at the wrong moment. Two more housekeeping notes: I wavered about whether to include true prime-time shows that my kids have watched regularly — such as The Simpsons, Modern Family, Stranger Things and The Good Place, ultimately deciding against it. I’m also leaving out the shows that I wrote for during this time: W.I.T.C.H. and Young Justice. The Fresh Beat Band My wife and I pulled the plug on this one ourselves. Did not appeal on any level. Care Bears: Adventures in Care-a-lot Great title, huh? The original Care Bears ran before my kids were born, but this sequelish series stumbled into our path for a brief moment. A few small stuffed animals did find their way into our house, I’ll admit. Barney & Friends I mean, it wasn’t really a thing for us, but I can’t say we never saw it. In fact, we saw it enough to recognize Selena Gomez from the young supporting cast when she started on Wizards of Waverly Place. We also inherited from older families a few Barney books that were not un-useful. Shake It Up Zendaya (who co-starred with Bella Thorne) was clearly a talent from the moment this Disney Channel show launched. But the show itself … not my cup o’ tea. Dog with a Blog When I tweeted out the Variety story announcing this show (headline: “Disney agog with blogging dog”), at least one of the responses condemned the concept in no uncertain terms. I replied it was guaranteed two seasons. It ran for three. The Suite Life on Deck This show was nearing its end as my kids started to watch the live-action Disney Channel shows. I liked seeing Phil Lewis on it. Girl Meets World … to the point that I think they only watched the first one or two of Girl Meets World. I get the sense it was better than average for Disney Channel. In general, it’s possible most of the Disney Channel shows are too low on this list as a group, especially given how much we watched them as a family — we even went to tapings twice — but I just don’t think some of them wear well over time. Johnny and the Sprites Made something of a general impression, but other than Johnny (John Tartaglia), I remember almost nothing of the specifics. Daniel Tiger’s Neighborhood Essentially an animated spinoff of Mr. Roger’s Neighborhood, but without his presence, it mainly reminded me how much he was missed. Jessie The highlight was three-time Tony Award nominee Kevin Chamberlin as the Mr. French-style butler in an apartment filled with basically abandoned children. 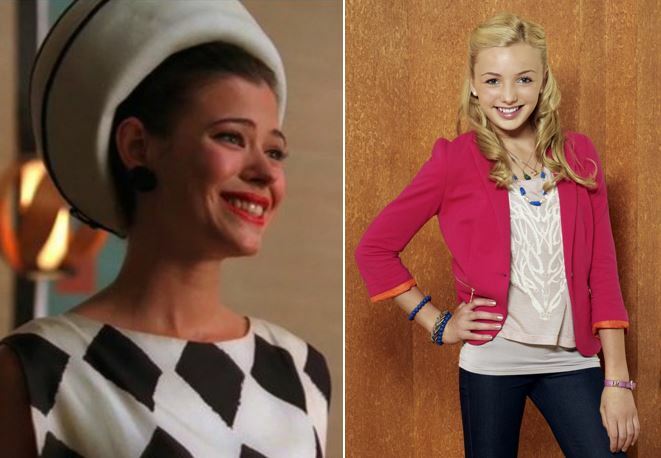 Also noteworthy for casting Peyton List at the same time a different Peyton List was recurring as Jane Siegel Sterling on Mad Men. ToddWorld I don’t know how if they’re popular today, but the seemingly endless supply of Todd Parr books were kind of a big deal in our house in the middle of the last decade. But the TV show didn’t take. Caillou I think only Young Miss Weisman might have been exposed. I don’t have the visceral hatred toward this one that many do, but it definitely was a peculiar show that didn’t resonate with us. Bob the Builder Seemed fine, but didn’t really catch on in our house. DragonTales I know we watched this, but I can’t remember a single moment of it, really. 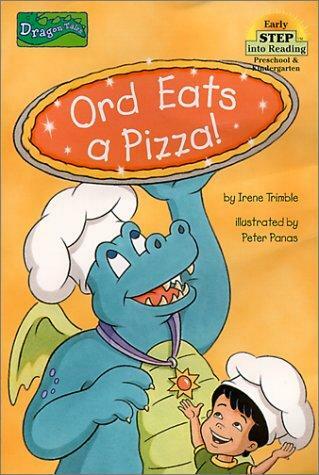 On the other hand, we had a toddler book about one of the dragons eating a pizza that got worn thin. Mustard Pancakes Winner for strangest title, which is saying something. There was something happening here. What it was wasn’t exactly clear. Austin and Ally Servicable but saccharine. My two oldest kids loved this show when it came on, but turned ferociously against it a couple years later and to this day try to deny they enjoyed it. When we saw series co-star Ross Lynch in a Hollywood Bowl production of A Chorus Line years later, they pretended not to care. The Berenstain Bears This has nothing to do with the show itself, but my favorite moment in the Berenstain universe remains the book in which Papa’s secret prejudice was exposed — and then cured! Teletubbies Ooh, colors. Always expect kids to be haunted by creepy Baby Sun rising, but I guess everyone moves on. Boohbah A slightly more advanced (and therefore less disconerting) step after Teletubbies. We had more experience playing games with the characters on the PBS Kids website than we did watching the actual show. Signing Time A preschool live-action show with the added bonus of teaching sign language. Clifford the Big Red Dog Memories of this are exceedingly dim. It was pretty basic, right? Thomas & Friends One of the better-known shows on this list, I’d suspect, but my kids did more playing with trains than watching the show. The Penguins of Madagascar This got in the rotation for only a short while. I don’t think it lived up to the original movie. The penguins were meant to be sidekicks, not stars. Pinky Dinky Doo Didn’t leave a lasting impression, good or bad. Handy Manny Wilder Valderamma brought a solid enough characterization to this preschool show. Special Agent Oso The timing was right for Youngest Master Weisman to enjoy these adventures. Maisy We had several of these books, which we read to Young Miss Weisman to an almost exhausting degree. The show was in play as well, but it didn’t transcend the books. Little Einsteins In our memories, this doesn’t age well. But it was a natural progression for us from the Baby Einstein videos we showed Young Miss Weisman, and at the time, seemed more helpful than harmful. It had the same pause-for-reaction approach of a Dora the Explorer that really handcuffs a show for anyone over the age of 5 watching. Sanjay and Craig Entertained for about a season but didn’t really take root. Kung Fu Panda It didn’t resonate emotionally, but a solid-enough successor to the film franchise. Higglytown Heroes One of two shows on the list with a solid They Might Be Giants theme song — which is honestly my main takeaway from it. Not sure I loved the Weeble-like nesting doll cast. The Doodlebops I kind of cringed at how uncomfortable their makeup was and what it must have done to their skin, but I will say I was a fan of Bus Driver Bob, who seemed to have been on his way to an audition for The Sopranos but gotten very, very lost. The Wiggles For its potential to irritate anyone over the age of 6, this could be the worst-ranked show on the list. But look, at the most basic level, the songs worked. Fruit salad, yummy, yummy. The Cat in the Hat Knows a Lot About That This PBS animated series starred Martin Short as the Cat, which gave him a ton of personality — though speaking only for myself, it wasn’t really quite the personality or voice I had in mind when I read the books. Even though the show meant well, I’m not sure I liked this show’s Cat being used to teach lessons as opposed to causing mayhem. Franklin Not in heavy rotation for us, but included here mainly for the almost mournful theme song from Bruce Cockburn. A.N.T. Farm Series star China Anne McClain (now on Black Lightning) was clearly a talent, and the characters themselves were fairly easy to take and the show well-intentioned enough. Jungle Junction Catchy theme song, serviceable stories in the age 4 or 5 neighborhood, as I recall. Dinosaur Train Same. Once you hear the “Dinosaur Train” refrain, you’ll never forget it. Jake and the Neverland Pirates Again, it hits a sweet spot for a certain age, but then I think the kids move on pretty quickly. The higher-ranked shows on this list had more than a year’s worth of staying power. Go Diego Go This spinoff came around, I guess, because the boys were feeling underserved by Dora the Explorer? Young Master Weisman did dress as Diego for Halloween at age 3. Dora the Explorer The stature of this show was pretty enormous when my kids were born. We were given a Dora the Explorer version of Candyland, for one thing. The show functioned well enough, but the formula got pretty stale over time. Jack’s Big Music Show These two came from the same producing team. Jack gets the edge thanks to musical guests including Buddy Guy. Sid the Science Kid This struck me as a pretty worthwhile show, introducing some good scientific concepts at a young age, but after a few years, this fell into the category of shows the kids not only disowned but now say they never liked. Super Why Cut from the same cloth, getting kids into stories. It’s a Big Big World This might rate higher if it were fresher in my memory. (Or maybe it would rank lower, I suppose. Splitting the difference here.) Nicely diverse animal cast, featuring Snook the Sloth as its lead. Milo Murphy’s Law From the team that brought you Phineas & Ferb, which (as you’ll see) was adored in our household, Milo should rank higher but for whatever reason, it didn’t catch on with any of the kids at all, so I’m taking that into account. The Aquabats! Super Show Wholly original and more than a little crazy, maybe too much so for my kids when it aired. Olivia Solid, but we probably got more mileage out of the books than the program. A Little Curious Check out the list of characters and tell me there’s no there there: Pad and Pencil, Bob the Ball, Little Cup, Mr. String, Plush, Mop, Doris the Door … and the Shoe Family. Wow Wow Wubzy Catchy theme song and fun stories. Lilo and Stitch A Youngest Master Weisman favorite at one point, but I think that was mostly momentum from him having really enjoyed the movie it sprung from. Octonauts With adventures slightly more ambitious than on the toddler scale and distinctive characters, this is an easy rec for preschoolers. HBO Storybook Musicals Wasn’t in heavy rotation for us, but they did versions of The Little Match Girl and Alexander and the Terrible, Horrible, No Good, Very Bad Day that I recall being pretty strong. Wander Over Yonder Youngest Master Weisman loved this enough at one point to dress as Wander for Halloween. Mickey Mouse Clubhouse Toddler-level appropriation of the Disney characters that we got a lot of mileage out of — all three kids watched. Catchy theme music by They Might Be Giants was a bonus. Curious George Old school, but I have no complaints. Blue’s Room A spinoff of Blue’s Clues in which a puppet version of Blue was the star, not as good as the original show by any means, but introduced in a nicely executed transitional special that we watched many times. LazyTown Shoutout to Iceland for its big entry. This was, to say the least, an unusual show, but the lead was charming and the emphasis on physical activity obviously welcome. Family Game Night Not sure this belongs on this list, but I feel compelled to include the kids’ introduction to competitive game shows. For a long time, they held it against me for a long time that I never got us in to audition. In fact, they might still hold it against me. Hi-5 An American adaptation of a vignette-filled Australian show, this was sufficiently fun and entertaining for ages 4-7 or so. Wizards of Waverly Place My wife would say I have this way too high, but I kind of liked that in the lead role of a Disney Channel show, Selena Gomez had a dark, sardonic edge — at times, she was borderline grim. Plus, when the big series finale aired, my oldest two kids were Lost-level primed for it. Bonus for Ian Abercrombie (Mr. Pitt from Seinfeld) recurring as the grand poobah of wizardry. Good Luck Charlie The best of the Disney Channel shows from the years my kids watched. Not exactly cutting-edge, but had a strong cast led by Bridgit Mendler, Leigh-Allyn Baker and Eric Allan Kramer, and was far less patronizing and more clever and entertaining than it deserved to be. Mr. Rogers’ Neighborhood On my personal list, this would rank much higher — like, top 10. One day when I was a kid, when I heard that Mr. Rogers was going to have one of his occasional evening specials, I tried to follow the example of Schroeder promoting Beethoven’s birthday and make a sign to tell the neighborhood about Mr. Rogers in prime time. In any case, our kids never got hooked on Mr. Rogers for more than a few episodes. But despite my kids’ blind spot, the quality of the show must be acknowledged somehow. Oobi A strange but low-key charming preschool show with a just-right theme song, starring hands with bows, mustaches and googly eyes. Word World This one rates pretty high for me in mixing visually enjoyable entertainment with genuine help in learning to read. The Backyardigans Another solid show for preschoolers and young grade schoolers with a fine theme song. Theme songs are really key in these rankings. The Wonder Pets If you want to sneak the equivalent of opera into your young-uns’ lives, here’s a winner for you. Imagination Movers A goofy, silly, maybe too sweet but ultimately charming show with music and hi-jinx. Teen Titans Go Originally rooted somewhat faithfully in the DC world, the show over time has branched into completely random, preposterous, kitchen-sink stories. And it works. Charlie and Lola I really dug the stories — and the accents. Loved the accents. We had a Charlie and Lola book called Beetles, Bugs and Butterflies, based on one of the episodes, that was one of my absolute favorites to read at bedtime. So Random When Demi Lovato had to leave Sonny With a Chance, this show became the sudden sequel. Another issue of timing: Our family never saw Sonny, but we found this show to be laugh-out-loud funny. Allisyn Ashley Arm in particular was great as Sally Jensen. Incredible Crew A filmed sketch show for kids that frequently hit the mark with great bits. The Amazing World of Gumball A current favorite of Youngest Master Weisman and probably his mother’s favorite as well — very clever and always surprising. The Upside Down Show Super fun and clever stuff from Down Under, led by two guys who could pause, fast-forward, reverse and slo-mo life itself with a special remote control. The (New) Electric Company Having also been raised on the original, featuring Morgan Freeman and Rita Moreno among others, I was genuinely excited to see it reborn in time for my kids to watch — so it was jarring to find that the producers ditched all but a few elements of its ancestor. But the result stood upon its own, and also deserves notice for getting on board the Lin-Manuel Miranda and William Jackson Harper (Chidi on The Good Place) trains before they were mainstream. And deserving special mention: Ashley Austin Morris as Francine Carruthers. Blue’s Clues We started watching near the end of the Steve era and in the transition to the Joe era. Some would say the show suffered by that point, but I’d argue it held up reasonably well, given how colossal a shift this was. While it had more energy and obviously a different set-up, I’d argue that the tone and intent drew from to Mr. Rogers Neighborhood. Just a quality show. Crashbox I honestly have never heard any other family talk about this one, but it was a winner for all three of our kids, essentially doing funny little bits across subjects of math, science, social studies and history. And even as they’ve gotten older, they still get a kick out of occasionally seeing a clip from an old episode. The Mr. Men Show This version of the Mr. Men and Little Miss franchise was lots of fun, smart and a bit sardonic with a little edge despite being aimed for young ages. The Internet says their were 104 segments, which seems like more than I remember — I wish it had run longer. We Bare Bears Charmingly dry, silly without being slapstick — this is just one of those shows that is a completely easy watch, no matter your age. Yo Gabba Gabba There was a point in time when I would have ranked this No. 1. A fun, super crazy trip. Fish Hooks Really smart, fun animated show that deserves to live on. Great characters. 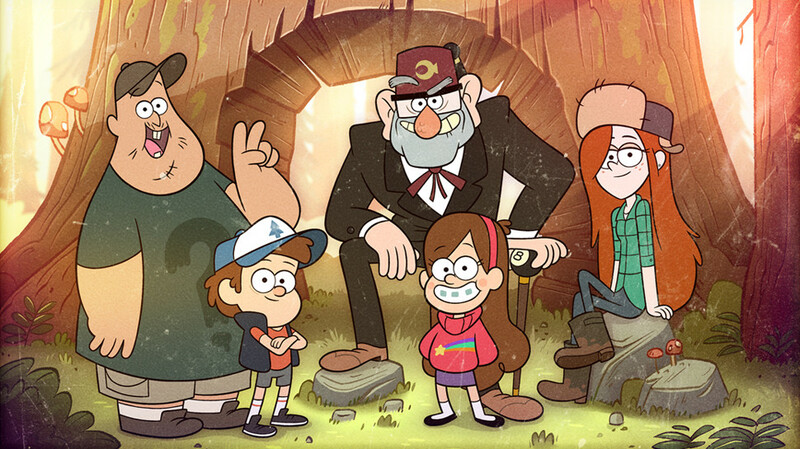 Gravity Falls The best combination of smarts, laughs and suspense in the animated arena. Simultaneously producing stand-alone and serialized episodes, Alex Hirsch’s universe grew ever richer, and at its climax, unequivocally stuck the landing in its finale. The run was all too brief, but the two 20-episode seasons of Gravity Falls shine for any audience.